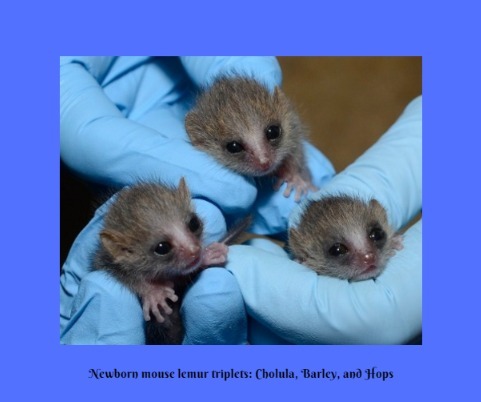 The world’s critically endangered lemur population increased by three baby mouse lemurs. The triplets were born at Duke Lemur Center in Durham, North Carolina on July 8. They each weighed only 7 grams each which is about the same weight only three pennies! Each species born at Duke Lemur Center follows a naming convention. Mouse lemur babies are all named after herbs and spices. Mama Sriracha gave birth to three boys: Cholula, Barley, and Hops. The Duke Lemur Center houses North America’s only breeding colony of grey mouse lemurs with a total of 48 individuals. Despite their small size (adult mouse lemurs typically weigh around 50 grams), their births are incredibly important. Lemurs have been classified as the world’s most threatened mammal group, so their arrivals help to stabilize the genetic diversity of these fascinating primates. Lemurs are native to Madagascar. In fact, there are more endemic plant and animal families in Madagascar than any other place in the world. Primates in particular have a tremendous amount of diversity. There are over 100 types of lemurs found only in Madagascar. The Duke Lemur Center Sava Conservation Initiative is a multi-faceted community-based project which brings both conservation and opportunities for Duke students to the SAVA region of northeastern Madagascar. Watch their YouTube video below. Conservation activities include, but are not limited to, environmental education with local students, reforestation, fish farming, sustainable agriculture through promotion of yam cultivation, support of fuel efficient stoves, family planning, research, and more. The ultimate object of all project activities is to protect remaining forest and the unique biota of the SAVA region. 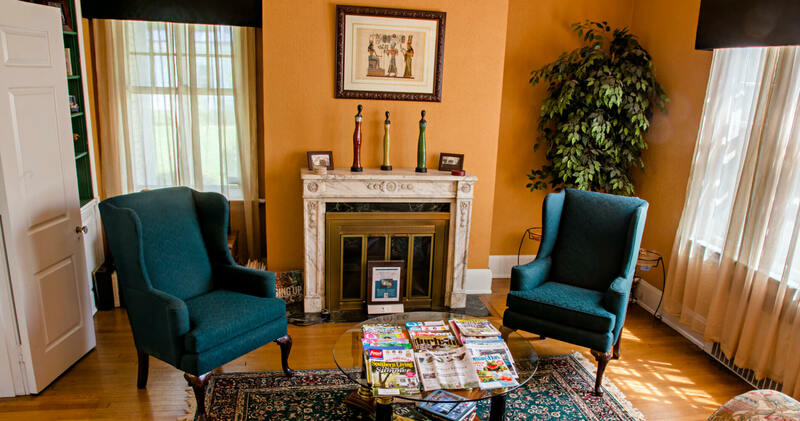 Morehead Manor Bed and Breakfast is thankful to have the Duke Lemur Center right here in Durham, North Carolina. Our guests can enjoy tours to see these fascinating primates up close in their natural habitat. This entry was posted in Uncategorized and tagged conservation, Duke, Duke Lemur Center, Durham, Madagascar, Morehead Manor Bed and Breakfast, natural habitat by admin. Bookmark the permalink.